I suppose for many listeners, the further from relatable influences music gets, the harder it is to describe. I'm beginning to think the opposite is true for me. 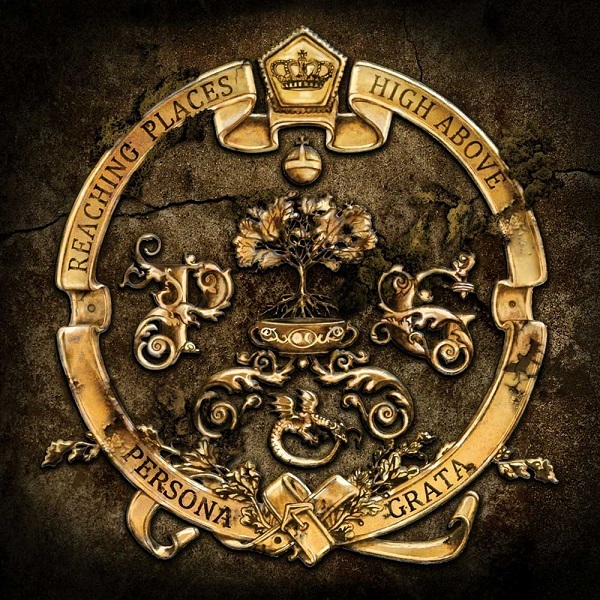 Persona Grata in some ways is much more like mainstream progressive rock (if there is such a thing) than much of what I listen to, so I find it hard to come up with words to describe it — how to differentiate it from any number of other bands in the same general area. When I first gave Reaching Places High Above a listen, I was mostly struck by how proggy it was, with big keyboards, multi-part suites, and some complexity to the arrangements. It took a while for things to stand out against the dense background. Like most modern progressive bands, they are clearly inspired by some of the genre's pioneers (they mention Yes and Jethro Tull) along with some bands of later generations (Dream Theater, Muse). The question is: do they bring anything of their own to the table? Aside from having a solid command of the tools of the prog trade, they do add some nice touches of their own, especially with the addition of flute and female vocals (though Martin Stavrosky handles the bulk of the singing). When they delve into the kind of heavy hyperactive density associated with Dream Theater (which they really don't do that often), these other factors really serve to keep the music interesting. The use of non-musical sources like field recordings also brings in variety. The quality of the compositions is what makes it all work, though. There's an odd section in "Orient Express" where the music stops and it sounds like you're in a bar with a bunch of talking and drinking going on, then you're hearing a harpsichord and a flute — for a moment, before the rest of the band comes in for an odd-meter workout. According to the band's website, the lead guitarist and keyboard player from Reaching Places High Above have since left the band, so their next release will feature a different lineup. New progressive bands keep popping up from some of the most unlikeliest of places. Case in point is the new band Persona Grata from Bratislava, Slovakia. The band is a sextet of guitars, keys, bass, drums, flute, and vocals and Reaching Places High Above is their self-released debut album. The album has six songs clocking in at about 50 minutes, an impressive first shot! The music itself is a blend of high energy power chords, frantic playing, and some very peaceful and almost bucolic moments. Many of the songs go through shifts in mood and tempo that work surprisingly well without being pretentious. Their vocalist Martin Stavrovskỳ does an admirable job with the English lyrics, it is near perfect with only a slight accent. At times his voice reminds me of former System of a Down’s front man Serj Tankian. The disc opens with some excellent energetic guitar, driving bass lines, frenetic drums, and intense synths/keys. The band made some intelligent choices in the sequencing of the tracks as the second song provides a nice respite with peaceful guitar and flute solo before picking up the pace. There are even some tasteful harpsichord passages in “Orient Express” and “Venice.” And the 14 minute closing track “I Am You” begins with a slow ambient intro that eventually shifts into high gear with different keyboard sounds interacting with the guitars. Persona Grata is getting a lot of recognition and awards in Slovakia, and I expect that we will be hearing more from them on this side of the pond.